Delightful watercolor illustrations and vivid text take children and adults alike to all the life under the snow  and then join all the animals as they get ready for spring. Find these amazing facts: see-through eyelids protect eagles' eyes; eagles can kill prey four times heavier than themselves; one bald eagle weighed as much as a minivan. Introduction to the world of rabbits, squirrels and chipmunks with identity information, fun facts, and educational activities. 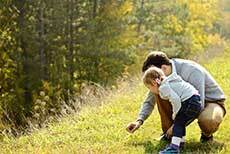 Companions in Wonder: Children and Adults Exploring Nature Together, Julie Dunlap and Stephen R. Kellert, eds. An anthology of personal essays ranging from bird-watching to an encounter with an apple-butter-loving grizzly bear, including Sandra Steinberger’s “big talk” with her children...not about “the birds and bees” but about global warming. 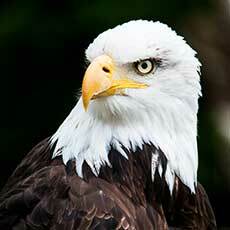 Bald eagles are large birds of prey native to North America. 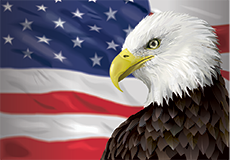 Since 1782, the bald eagle has been the United States’ national emblem and mascot. The bald eagle isn’t actually bald; it gets its name because its white head against a dark brown body makes it seem bald from a distance. 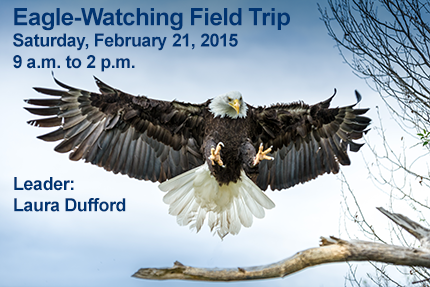 Join us to observe populations of wintering bald eagles and other early migrating waterfowl as we travel to Lock and Dam 13 on the Mississippi River. Dress in warm layers and meet at the Staples lot in Freeport at 9 a.m. Bring your binoculars and camera. Participants will find a place for lunch around noon. Expected return time is 2 p.m. Call Laura at 815-541-8958 if you would like to attend. Sign-up is not mandatory, but helpful in planning the carpool or cancellation due to weather. This field trip is best suited for older children. Call Laura to discuss the schedule and how it fits with your children’s needs. Bald eagles are “fish eagles.” They are in this classification because their main source of food is fish. 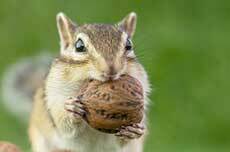 They will also eat smaller birds, other bird’s eggs and small animals like rabbits, reptiles, amphibians and crabs. Since bald eagles only eat meat, this makes them carnivores. Bald eagles make large nests from sticks, grass, feathers, moss and cornstalks in which to lay their eggs. The largest bald eagle nest on record was found in St. Petersburg, Florida. It was 9.5 feet across and 20 feet deep. It weighed over 4,000 pounds! Bald eagles can live up to 28 years in the wild. There are currently over 10,000 bald eagles in North America. The bald eagle was added to the list of endangered species in the United States in 1967, and its numbers have recovered well since. Can you do some research to find out why they have been recovering? Bald eagles have a massive wingspread of about 7 feet. In the nest, the female bald eagle will lay one to three eggs. Explore with your kids the buds of various trees. 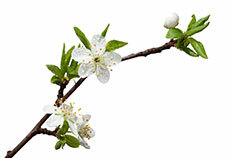 In February or early March, while buds are still tightly closed, cut off a 12-inch twig from various trees. Use garden shears for a sharp, clean cut and cut at an angle. Never take more than you need. Fill a jar with water and put in the twigs. Place in a sunny windowsill and change the water every few days. Check daily and note how the buds begin to swell. 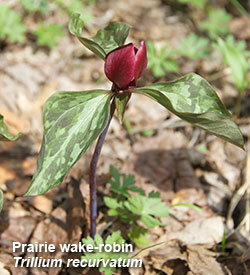 Finally, the flower buds will burst open. The leaf buds take a little more time. 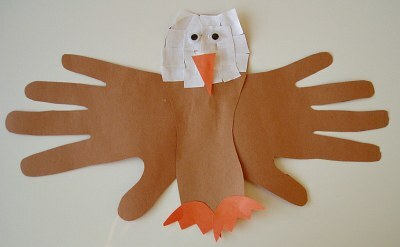 Try this craft idea with your kids and encourage them to be creative. Kids can trace their hands and one foot on a brown paper bag. Cut out the tracings and glue or tape them together as shown in the picture below. Glue some white paper to the head area, find something fun for the black eyes and make a triangle beak out of orange paper and glue on. Draw some feet out of orange paper and glue those on. These would be fun to make after the Eagle field trip on Feb. 21st! You could even hang them in a window.